A cast of nine performers includes four female dancers, one male dancer/fire knife dancer, and a four piece band. Show includes lei greeting. 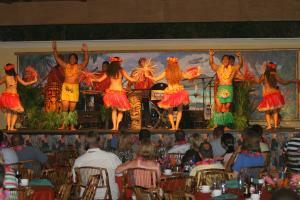 Show includes lei greeting, dinner music, and 50-60 minute show. Same show as Orchid with smaller cost.